We are delighted to announce that Lumeon has been awarded ISO 9001:2015 certification. The ISO 9001:2015 is an internationally recognized standard that helps ensure customers get consistent, good quality products and services. Lumeon’s decision to work towards the ISO 9001:2015 quality management system for its UK division is testament to its continued focus on customer satisfaction, and investment in a process-based approach for continuous business improvement. 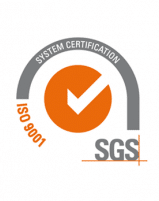 Lumeon received certification from SGS, the world’s leading inspection, verification, testing and certification company. SGS conducted a two-stage audit which included evaluation of Lumeon’s quality management system, documentation and review processes across all departments from Product and Engineering through to HR.